Occasionally a name for a character will just come to me as I am working on a piece. This was one of those times. I thought Midnight was the perfect name for my new character. She reminds me of the night and celebrates the color blue. Many times the name of a character or title of a piece of art is a challenging process for me. Sometimes I have two names I really like and can’t decide between the two. I do favor one word titles. My husband titles some of my pieces and always just nails it… like he read my mind when I didn’t know what I was thinking. HA! What is your creative process for naming or titling your art? 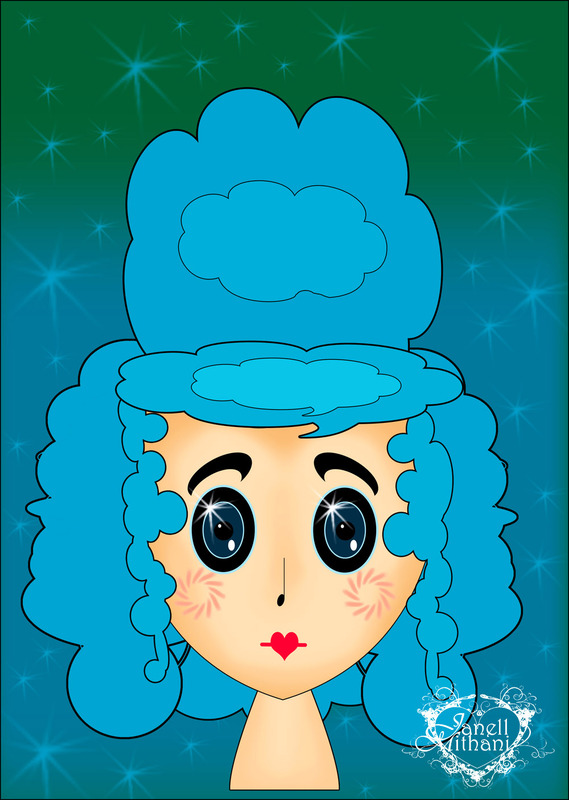 This entry was posted in Janell's Artwork and tagged art, astronomy, blue, Manga, manga girl, midnight, portrait, stars, teen. Bookmark the permalink.